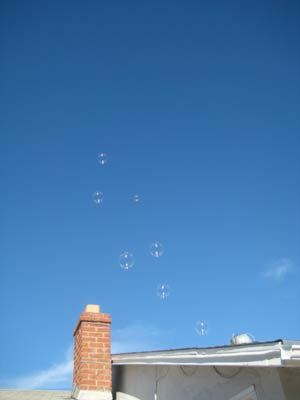 Inspired by a clip I saw on Good Morning America in October 2008, I wanted to try making helium soap bubbles. The bubblemasters on GMA did not reveal much about their process, they showed pink shapes floating into the air at a festival. It was definitely soap foam and there was definitely helium involved. It looked cool. I decided to give it a try. 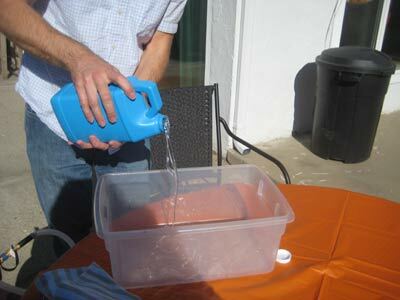 I rented a short cylinder, with $40 of helium inside and bought a half-gallon jug of bubble solution. I believe that "bubble solution" is just soap, water and glycerin. 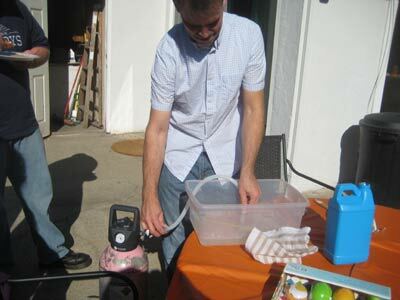 The plan was to use a short hose to blow helium up through a tub of soap solution. 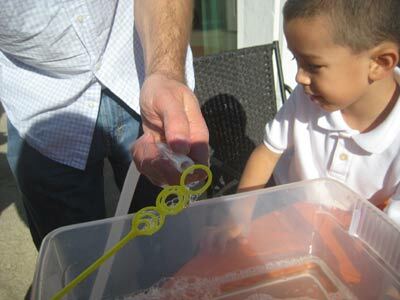 The bubbles I had seen on television looked tiny, so I grabbed a wire sieve from the kitchen to aid in keeping the bubbles small. 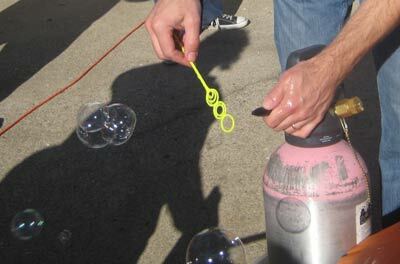 At first, the bubbles didn't go anywhere. I was being pretty stingy with the helium, and I was actually surprised that it wasn't working exactly the way I thought it should. 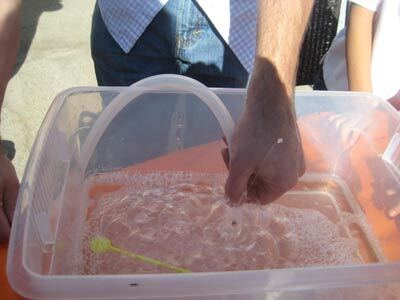 Some bubbles popped and others stayed stuck to the surface of the solution. 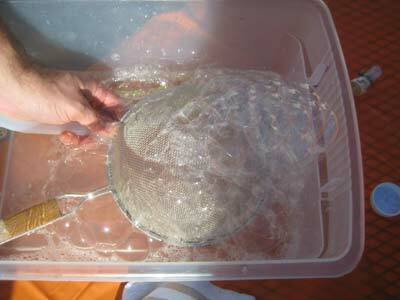 The half-gallon of bubble liquid filled my tub up about two inches, which wasn't enough to submerge the sieve screen. The half-submerged screen did seem to help, or at least it gave me enough patience to wait out a few clumps of bubbles. 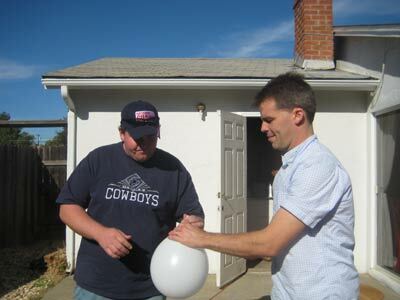 Just blowing single helium bubbles wasn't the effect Iwas going for, but I had to try it. 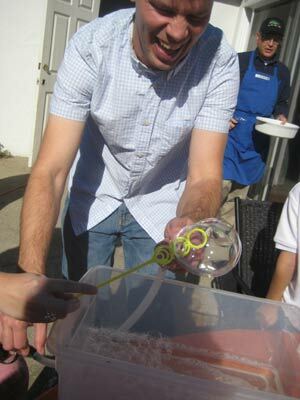 Erik volunteered to inhale the helium and blow bubbles with his breath. please continue reading page 2.